Every day we help many of the world’s most influential hydrocarbon and energy businesses succeed. We do this by putting client interests ahead of our own and providing more additional value. Energy Facility®, you can be certain your project follows an appropriate and customized work flow based on proven steps. Using highly-collaborative workshop approach, our consultants offer a rigorous process that ensures knowledge is shared, goals and priorities are aligned and feasible development options are mutual. Together, we arrive at a customized solution that satisfies stakeholders; create a competitive advantage with bottom-line results. For starters, we listen to our clients’ answers carefully and rely on performance-based facts, our industry expertise and the risk involved before making recommendations. Next, we find solutions because we value your concerns and take time to identify and priorities your issues. 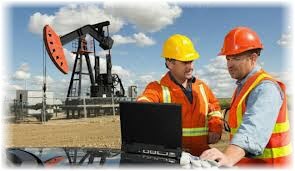 Then we determine the right team of experts to deliver your solution, and can be involved at any stage of your project from production forecasting and development planning, through process and facilities design and production optimization, to asset valuation and decommissioning studies. Finally, we foster and deliver collaborative workshops to enhance teamwork and obtain consensus on project approach.